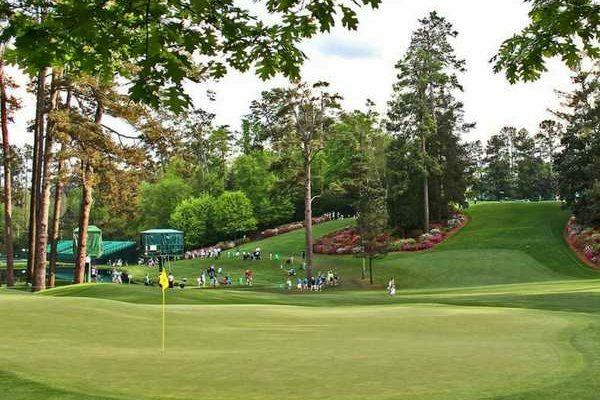 After an indulgent bank holiday weekend for Easter, all attention now turns to Augusta National for the 2018 US Masters. This year we are expecting one of the most exciting tournaments in its history, for so many reasons. If you’re in a rush, jump to the sections you want to read with the below links. When does The Masters start? While spectators and golfers have already touched down in Charlotte ahead of the tournament, the action doesn’t actually get underway until Thursday 5th April, that’s not to say there isn’t entertainment to enjoy beforehand though…. The UK is five hours ahead of the state of Georgia where The Masters will be held so expect the first group to go out about 1pm and the last to hit your screens about 8pm. 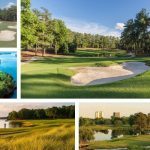 Where to watch The Masters? Here in the UK, there are just two (legitimate) channels from which to enjoy the action at Augusta and do have their restrictions. Those without subscription TV will have to settle for BBC highlights on Thursday and Friday but can then enjoy full, uninterrupted coverage of the final two rounds, with the added bonus of ‘Ken on the Course’. 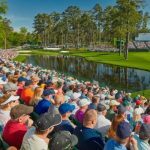 However, Sky Sports definitely boasts the most comprehensive coverage of The Masters which has actually already begun; Monday was showing highlights from the practice rounds as well as the annual Drive, Chip & Putt contest, Wednesday is the par-3 contest and then full coverage of all four days. You can also stream the tournament through BBC iPlayer or Sky Go. 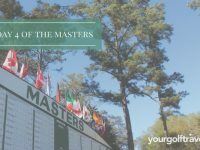 The 2017 US Masters is one that won’t be forgotten in a hurry; there was drama right from the start of the week which continued right through to the final putt of a memorable week at Augusta. 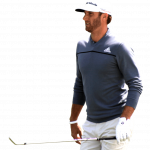 DJ was going into the Masters off the back of three straight wins, including two World Golf Championships and was hot favourite. However on the Wednesday evening he fell on some stairs in his rental home, ruling him out of the tournament. Of course the biggest story of the 2017 Masters was Sergio Garcia winning his first ever major, after 74 attempts. He and Justin Rose both finished on nine under par on Sunday evening, but the Spaniard won the first playoff hole and got his green jacket…on what would have been Seve Ballestsros’ 60th birthday. One of the reasons that this year’s tournament is getting golf fans so excited is the sheer number of golfers who are in good form! While this makes for a great Masters, it can really throw a spanner in the works when you come to placing your bets! We run through the bookies top contenders this year…. Won WGC Mexico and is looking to secure a fourth green jacket. He practiced with Tiger on Tuesday and looked in good spirits. Decent odds, too. Perhaps quite an obvious choice given his win just 2 weeks ago at the WGC-Dell Match Play, but Bubba knows how to play Augusta and will be looking to add a 3rd green jacket on Sunday. Rory is on the prowl for his career grand slam at Augusta this year and after winning at Bay Hill just a couple of weeks ago, his confidence is will be high. Let’s just hope if he does get in the lead he doesn’t blow it like in 2011. 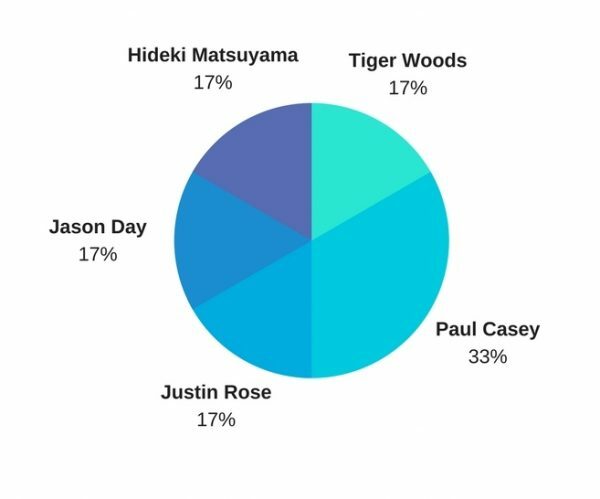 For me, Rose is a great pick going into The Masters… a model professional who is consistently in the running and he will sure have some fire in his belly following last year’s narrow defeat. Still ranked as the World Number One and will be extremely excited to be back playing in The Masters after last year’s freak accident. We have seen some monster hits from DJ so far this season and some decent finishes. 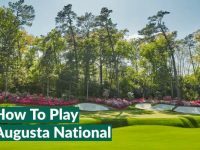 2nd, 1st, 2nd, 11th – He loves Augusta and despite a tricky start to the year, he finished in third at the Houston Open last week and can’t be overlooked, especially if he can avoid the water on the 12th hole…. Do you really want to overlook the defending champ? Sergio 4th at Valspar and looked incredibly proud to host the Champion’s Dinner on Tuesday, he will be eager to prove he has more in his locker. 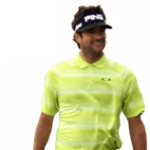 Oliver Gunning, Marketing: Bubba Watson. They talk about horses for courses and Bubba is certainly at home playing at Augusta National. His wardrobe is already full with 2 Green Jackets with victories in 2012 and 2014 and it won’t be a huge surprise to see the 16/1 shot claim another Masters Tournament victory. Iain Marr, Tours Specialist: The talented lefty Bubba Watson will triumph in 2018 to claim his 3rd Green Jacket. His form this year has been arguably his best ever in claiming 2 of the most sought after crowns at Riviera Country Club in the Genesis Open as well as the WGC-Dell Technologies Match Play at Austin Country Club. With the weather set to be a bit changeable this week, Bubba’s shotmaking, length off the tee and confidence are sure to assist him in winning The 2018 Masters. 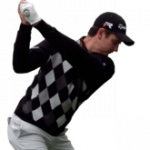 Paul Gartland, UK Sales Specialist: When you look at Masters history, it is normally the inform players who are at the top of the leaderboard heading into the back nine on Sunday. Justin Thomas is top of the Fedex standings and has come in the top 4 in his last three events. One of the longest, and straightest off the tee, paired with an impeccable short game makes him the one to beat. Already a major champion, 8 PGA Tour wins already after only 2 full seasons and an impressive mental game all add up to a US Masters champion. 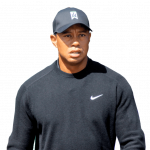 Nick Bishop, YGT Select: If you looked at it, it could be anyone, there are so many golfers hitting form this week – some might say it is the closest Masters in years. My pick is taking a combination of past history and current form. Bubba Watson not only has 2 previous wins at Augusta but also has 2 victories on The PGA Tour this year. These two combine to make him the man to beat this week. Nicholas Goldie, Marketing: Jordan Spieth. He’s never not in contention at The Masters and after a Top 3 finish last week at The Houston Open, it looks like he could be close to his best golf again. Oliver Gunning, Marketing: Paul Casey. On a strong run of form with a T6th, T4th and T6th in his past 3 Masters appearances. 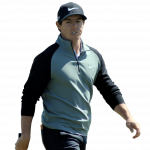 Casey won The Valspar Championship just a few weeks ago, holding off a host of players including Patrick Reed and a resurgent Tiger Woods, so certainly has the form as well the past pedigree to challenge this week. Rory Anderson, Marketing: Tiger Woods. 13 top-10 finishes in 20 appearances is a record only Jack Nicklaus could compete with. Iain Marr, Tours Specialist: Some will say I’m a little biased on this one. My Top 10 pick is Paul Casey, he’s got great history at Augusta with 3 top-10’s in his last 3 visits and his form this year has been sensational, topped off with his win at Innisbrook in The Valspar Championship just a few weeks ago. I’ve been fortunate to see Paul’s game up close and personal having caddied for him during The Dunhill Links Championship at St Andrews in 2014. Paul Gartland, UK Sales Specialist: The talented Australian has not been outside the top 28 in 6 Masters appearances. He does not play as many tournaments through the year as a lot of other players but when he turns up, he is almost always in the mix. He certainly has the right mental game for the up and downs that Augusta National will doubtless present to all players. With a lot of bookmakers offering top 10 places for each way bets, 3/1 on Jason day just to come top 10 looks like incredible value. Nick Bishop, YGT Select: Hideki Matsuyama. When he’s on form, there are few golfers in the world that can compete with him. His last 3 Masters appearances have achieved a 5th, T7th & T11th so picking him for a Top 10 finish seems like a very safe bet. Nicholas Goldie, Marketing: Justin Rose. With 2 second place finishes in the last 3 years at The Masters, he’s certainly knocking on the door for a Green Jacket. 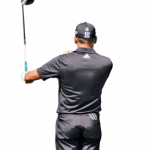 However, I think his chances of winning are dependent on the weather, as when we’ve seen softer greens like last year it can favour his ball striking and ability to get his approach close to the hole, compared to when the course is firmer and plays in-favour of players with a good short game. This being said, his consistency at The Masters is impeccable (5 Top 10s) so I think he’s near on a surefire for another Top 10. 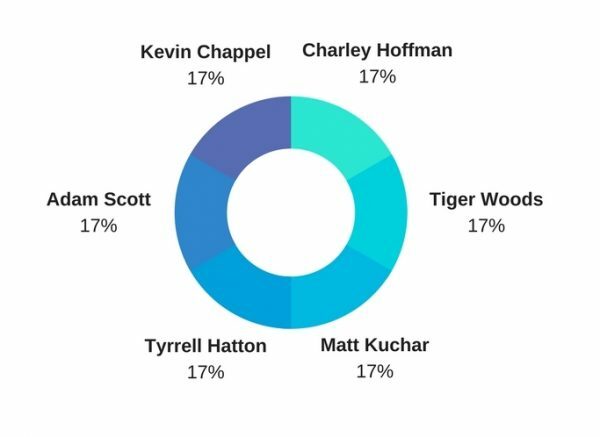 Oliver Gunning, Marketing: Charley Hoffman. Whilst his form in 2018 isn’t amazing, he was right in the mix at Bay Hill before a final round 74 saw him finish in a tie for 14th. 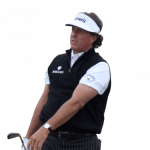 Hoffman has challenged before at The Masters and has a worst finish of T29th from his previous 4 visits. He led after the 1st round in 2017 with an opening 9-birdie 65, a score that was 10 better than the field. Whilst Hoffman did see his challenge fade at 80/1 he seems like good value. Rory Anderson, Marketing: Tiger Woods. For a 4-time Green Jacket wearer to be playing this week I’m surprised at the lack of coverage Tiger’s had. Not sure any paper or online entity has covered his appearance in his 1st Major since 2015. 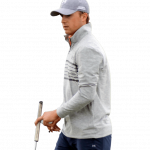 Hopefully with this lack of media coverage he’ll be able to slip under the radar and pick up another Green Jacket on his way to an almost certain Grand Slam in 2018. Iain Marr, Tours Specialist: Whilst his form has been up and down in 2018, Tyrrell Hatton looks like a world-class golfer who is set for great things. He narrowly missed out to Phil Mickelson in Mexico in his attempt to claim a maiden WGC victory and I’m sure his defeat there will spur him onto great things on the world stage in the future, hopefully starting this week in Augusta. Paul Gartland, UK Sales Specialist: Another player who does not enter a huge amount of events but a player of extraordinary talent. Probably the second best golf swing in the world (after Tiger) and ball striking Ben Hogan would be proud of. Adam Scott has had time to adapt to the shorter putter, after the rules change, and he is a man who loves Augusta. At 50/1 so a massive 10/1 just top place in the top 10, this seems to me the bookies are literally giving away free money! Nick Bishop, YGT Select: Kevin Chappell. 3 Top 10’s in 2018 at The CareerBuilder Challenge, AT&T Pebble Beach Pro-Am and Arnold Palmer Invitational at Bay Hill are good enough to suggest he’s got enough form to succeed this year. 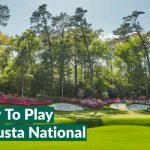 Chappell also achieved a T7th in the 2017 Masters so will be hoping for another good week in Georgia. Nicholas Goldie, Marketing: Kuuuuuuuch. Otherwise known as Mr Consistent, already has 4 Top 10 finish at The Masters and I can see him getting another. He’s had back to back Top 10’s on the PGA Tour prior to this week and is looking on good form. 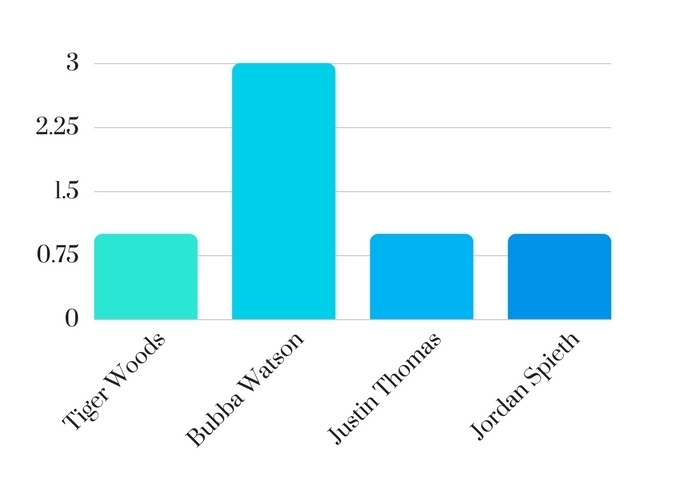 We usually hear his name around the leaderboard in the majors with a T4th at The Masters last year, 2nd at The Open, T9th in the PGA Championship and T16th at The US Open, so I don’t see this year being any different. If you have any questions about The Masters or would like to visit next year, head to our dedicated Masters landing page or simply call 0800 043 6644.